Moore's law teamed up with the Chinese electronic device industry are inserting new steps into the Lansink's Ladder. 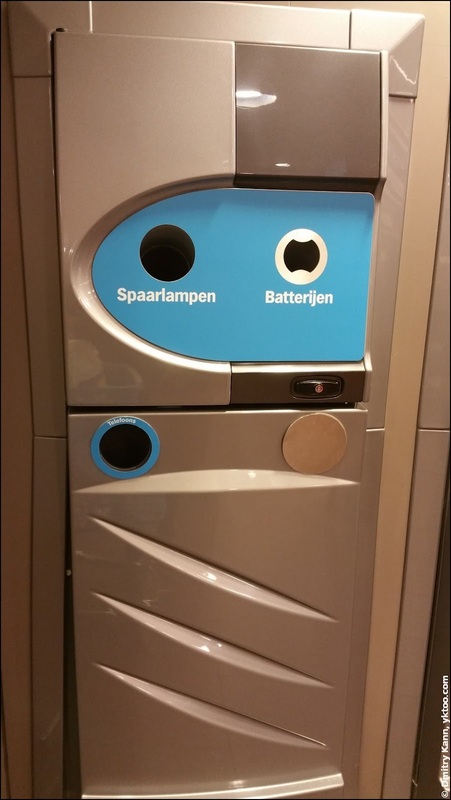 Next to the sections for used fluorescent bulbs and batteries, which are classified as klein chemisch afval (household hazardous waste), Albert Heijn grocery stores have now added a separate opening for used mobile phones! And rightfully so! Note that there's another opening, currently covered. Perhaps this one will be for smart watches and fitness trackers. The only unclear point now is how one is to handle used tablets and read e-books.